We've been baking our hand-rolled Signature Cinnamon Swirl in our bakery since the very beginning. 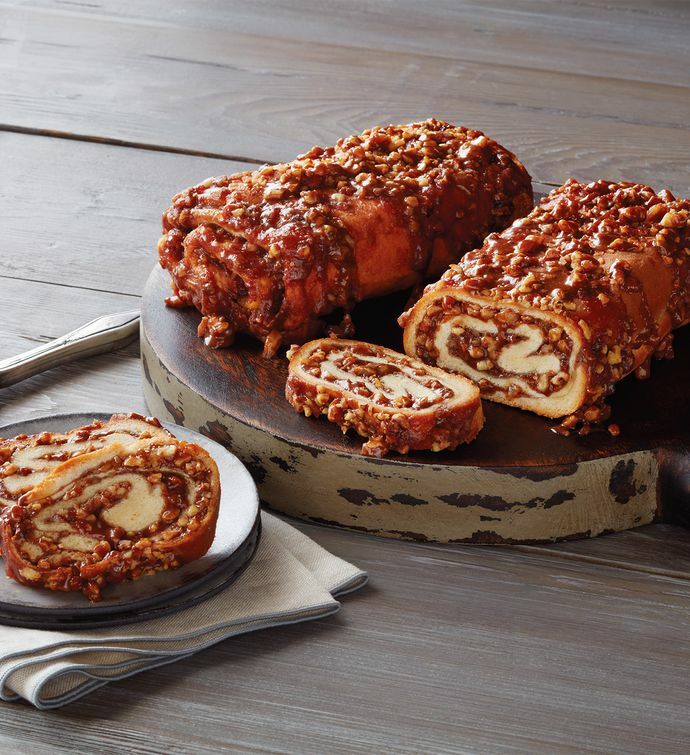 Our unique twist on the classic cinnamon roll includes such gourmet touches as adding applesauce to the nuts and cinnamon sugar filling and brushing the top of the loaf with clarified butter just before it goes into the oven. Cinnamon swirls, with their deliciously sweet scent, make great breakfast bread.